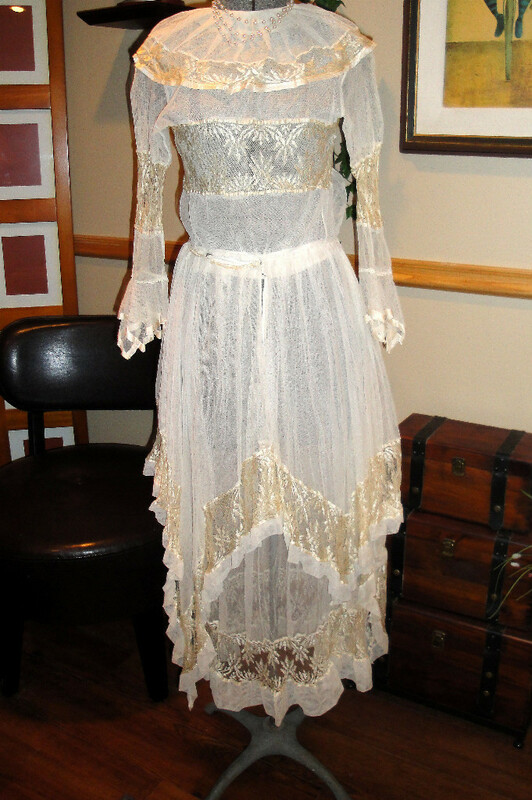 This is a beautiful vintage tambour lace dress with inset lace panels. I would date it to the 1920's or 30's. It is small in size and has a few issues but overall I'd say it is in very good condtion. 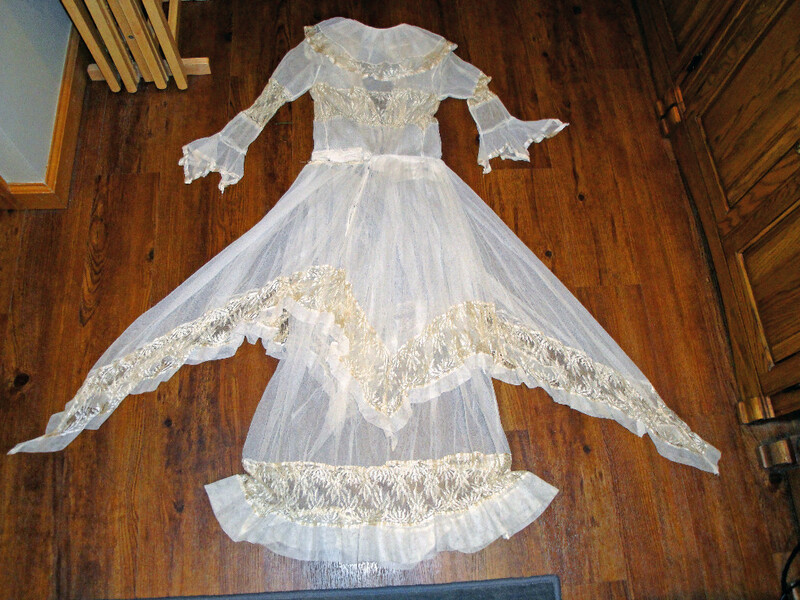 The dress features a portrait collar, flared sleeves and a handkercheif hem overskirt. 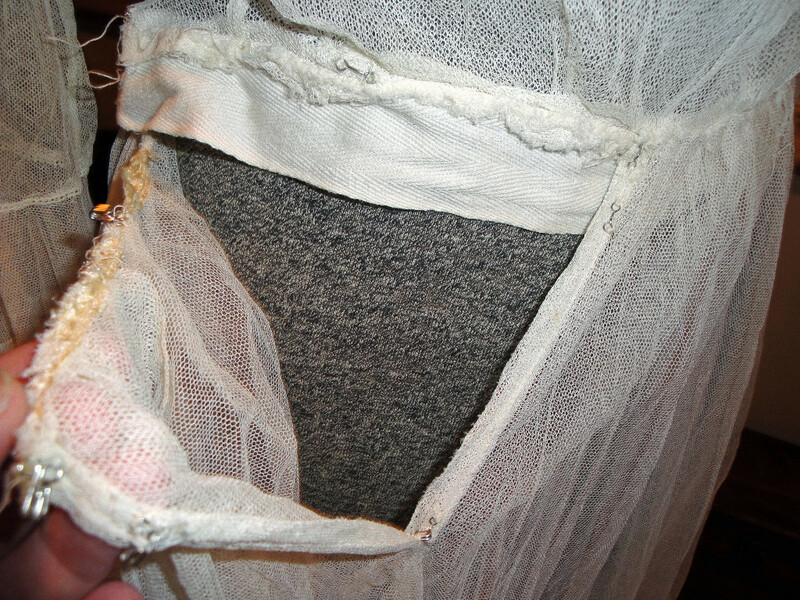 The collar had a hole in it as pictured in #4 and the interior net lace under the arms is ripped. 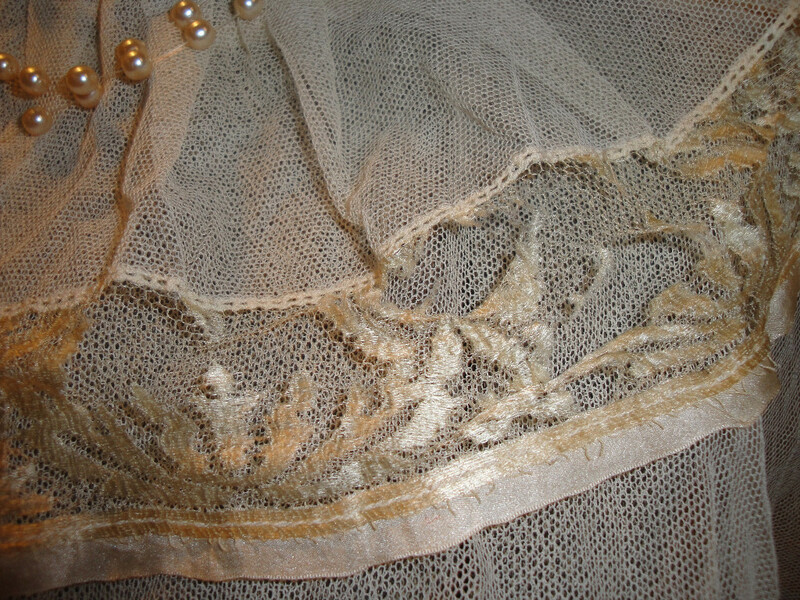 I also notice a missing snap on the back and a couple of random holes in the net lace. 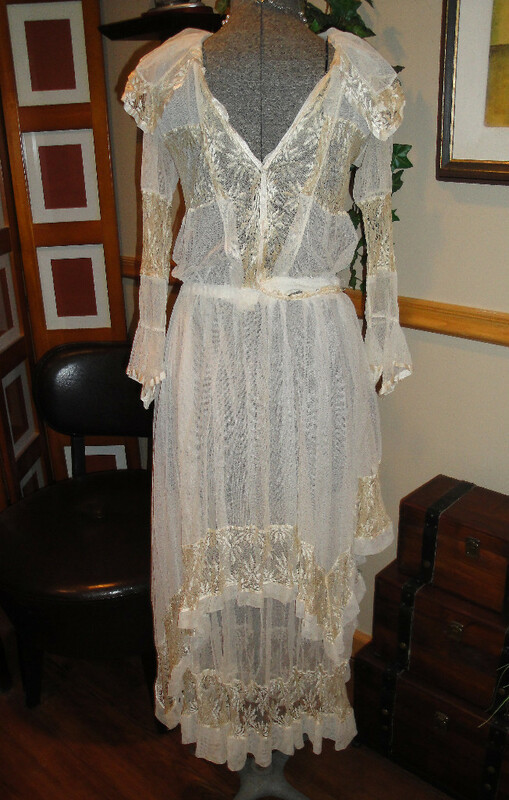 This would be pretty with a pink slip underneath and a matchin satin ribbon around the waist. How feminine! Please feel free to email me with any questions you may have as I am not an expert regarding antique clothing. 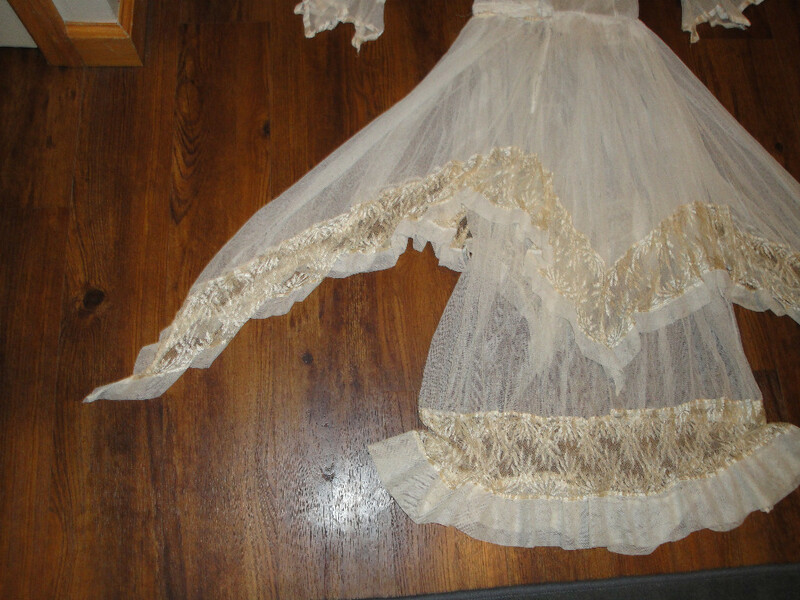 Also, check out the other vintage dresses I am listing tonight. 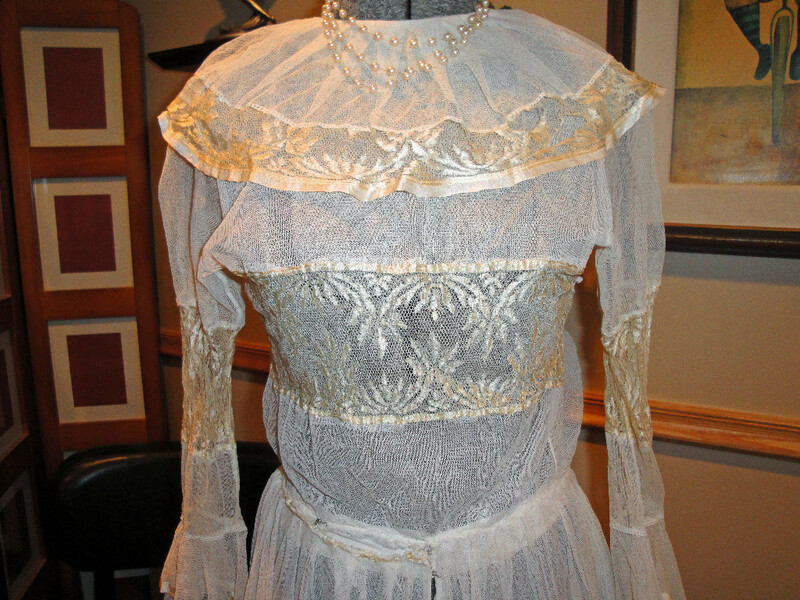 The bodice looks a little funny but I think it's just the way it's displayed on the modern dress form. It's not from the 1920's, but a lovely example of Teens era wear.